Thomas Edison once said, “Books will soon be obsolete in the public schools… our school system will be completely changed inside of ten years.” Amazingly enough, however, one of our nation’s most important inventors was proven quite wrong. The American education system has a remarkable resistance to innovation and the classroom experience has changed very little in the 100 years since Edison’s prediction. 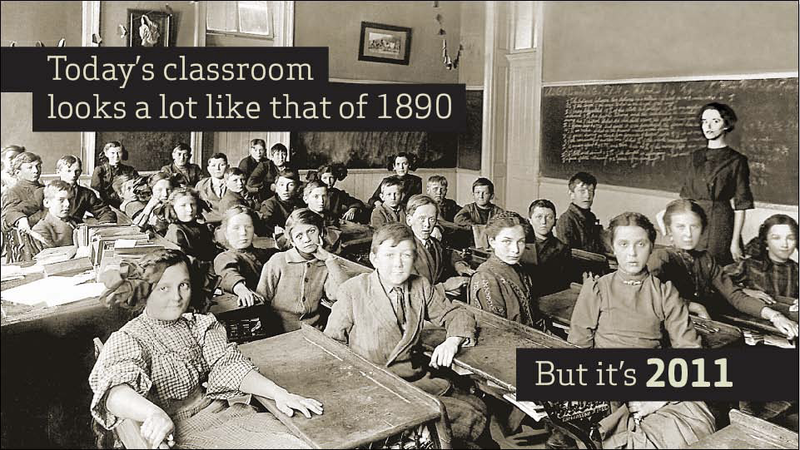 It is true that our classrooms today look much like they did over 100 years ago even though we clearly NOT the same society that we were a century ago. The question that educational technologists like myself constantly try to solve is how do we persuade teachers that the technology can actually empower them to help their students learn.